All of our items are now available and for sale on a new marketplace called www.boocoo.com, you can see our store at the below link. We are very excited about this new venue to feature all of our products. Low-speed, low magnitude vibrating platforms are changing the way many of us exercise and manage our fitness, wellness and longevity plans. Moving, exercising, or even standing on a vibrating platform will change your body. You can move off an exercise plateau and experience a new level of fit. You can get your body moving again after a time of being unable to exercise. This is a safe and effective way to stimulate muscles. You can be confident that whole body vibration exercise will compliment and accelerate whatever exercise is already successful for you. Whole body vibration exercise and therapy works our body from the inside out. Gentle vibrations moving into and throughout our entire body is an efficient, effective and safe way to stimulate muscles and bone cells. Increasing muscle mass and bone density by stimulating cellular movement compliments the natural healing rejuvenative process always occurring inside our body. DKN is a manufacturer offering world wide high valued whole body vibration exercise machines. They deliver vibrations that move through your entire body. Our products are safe and effective for anyone who can use them. Low-speed, low magnitude vibration machines have been researched and used for wellness and exercise therapy in hospitals for 25+ years. The DKN XG-series displays are equiped with the patented Personal Coach Cystem which allows consistent delivery of vibration to the user and enhances the quality and durability of the platform. This virtual integrated personal trainer eliminates the need for expensive personal trainers to show you what to do; it’s now all under your own control! All models come with 2 upper body workout straps, an extra thick high density mat, an interactive training DVD, a training guide, and a complete A3 exercise poster to make sure you get the most out of every session. Balkowitsch Enterprises Now Offering the Radisafe! Radisafe Cell Phone Radiation EMF Protection Mobile Phone Heat Reduction Chip. RADISAFE is Certified by the World renowned Electronics Measurements and Devices Testing Laboratory CIEMS - CALIFORNIA INSTITUTE OF ELECTRONICS AND MATERIALS SCIENCE, California ,USA to possess Electromagnetic Shielding Effectiveness of 99.95% when tested at the Frequency of 9.375 GHz . One must be aware that currently latest GSM and CDMA phones are operating at a maximum Frequency of 2100 MHz (2.1 GHz) only, whereas RADISAFE is tested to shield Radiation even at a Frequency of 9.375 GHz . When RADISAFE is stuck on the ear piece hole of the mobile or on the front side or back side of the Mobile Phone as nearer to ear piece as possible , it immediately starts to Shield Radiation and reduce heating of the Mobile Phone, thanks to the Mineral Technology and Scalar Technology employed in RADISAFE. If you have any questions regarding this item please give us a call (800)355-2956. The beneficial physical and biological effects of using RADISAFE have been clinically tested and demonstrated as testified by World renowned Russian GDV Kirlian Camera Technologies and the results are published elsewhere in this website. RADISAFE IS THE MOST TESTED AND PROVEN PRODUCT OF ITS KIND IN THE WORLD. While many similar products from different countries encounter problems of jamming and reduction in the tonal quality, RADISAFE with its Unique Technology, not only Harmonizes Radiation and reduces Heating, but does not jam and interfere with the tonal quality of the calls. In this modern world knowingly or unknowingly we expose ourselves to invisible hazards. We are hooked on wireless technology and there is a dark side. Evidence shows that regular use of cell phones begins to heat brain tissue and affect the cells. Dr.David Carpenter, Dean at the School of Public Health State University of New York says 30% of all childhood cancers are associated with EMF exposure. Doctors from the United Kingdom have issued warnings urging children under 16 not to use cell phones. High frequency EMF waves lead to significant increase in blood pressure. Even though it is universally accepted that electro magnetic radiations emitted from mobile phones is bound to affect the health and well being, they tend to ignore as people have become totally dependent on mobile phones and life today will come to a standstill without it. We are subjecting ourselves and our loved ones to this external stressor day in and day out. SilverCare Personal Safety Alert Emergency 911 Device w/ Pendant Systems & REMOTE LIGHT SWITCH. Kit Includes Base & Pendant. The SilverCare Personal Safety Alert Device goes beyond a personal emergency response system (PERS) or medical alert device for the elderly. It acts as a 911 alert, allows priority help contact, medication and appointment reminders, stores In Case of Emergency (ICE) data and more. If you have any questions about this product, please give us a call (800)355-2956. 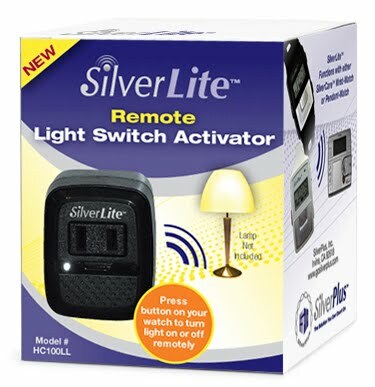 The SilverCare® system consists of a Base Console, Wrist-Watch or Pendant-Watch, and optional Remote Light Switch Activator accessory (SilverLite®). When you need 911 assistance, simply press the dedicated 911 button on your Watch or Base Console and talk live with a 911 operator. Or, when you need assistance other than 911, simply press the Priority Help button on your Watch or Base Console and talk live with a loved one or neighbor. Enter important medication and/or appointment reminders during system setup (i.e. “Doctor’s Appointment”). SilverCare™ will remind you to take your medication as well as to be present for an important event. You are in control with SilverCare™. There are no monthly fees or contracts unless you choose to employ an outside service. With SilverCare™, its all about you. The system supports as many as 4 different pendant-watches or wrist-watches, so multiple users can benefit. You can even take the system with you when you move, or when you visit friends and family. You can set up your SilverCareTM system manually using either the Base Console itself or the Setup CD. Setup takes only minutes with the Setup CD. You can enter up to six different emergency contacts; 911 is already preset with a dedicated button on the Base Console and Watch. To set up, connect your SilverCareTM Base Console to your computer with the USB cable (included in kit). Then, insert the Setup CD into your computer and follow the on-screen instructions. SilverPlusTM Inc. is a pioneer in developing a ground-breaking emergency response, personal health and home safety solution to provide comprehensive daily-living assistance and continuity of care. We have combined the benefits associated with a traditional Medical Alert device with other valuable features such as Medication and Appointment Reminders, Hands Free Call Answering, and ICE Record-keeping, all in a water resistant wrist or pendant-watch. Our technology is so advanced that the user can press one button to talk with a 911 operator, or press another button to converse directly with a loved one. SilverCareTM is the world’s first 8-in-1 Personal Daily-Living Assistant. This unique system enables elderly users to take an active role in managing and monitoring their own health and safety in and around their home, with benefits far beyond those of a traditional Medical Alert device. This flagship product currently provides many useful functions, including a water resistant digital pendant or wrist-watch with a two way voice communication capability; medication and appointment reminder; easy access 911 and “priority help” buttons, hands free, call-answering; home/away indicator; an ICE advisor, and wireless, remote light-switch activator. In a personal emergency, the user can actually engage in a two way conversation with family, neighbors or emergency personnel by speaking directly into the ultrasensitive speaker and microphone on their watch. SilverCareTM is an entirely unique solution to the current shortcomings in the emergency response, telehealth and telecare industries. We have developed an open personal-monitoring platform, which led us to create a product category called TeleHealthCare. We are leading the revolution. Our robust solution framework is configurable and expandable, so that our entire range of products will be based on this scalable platform, allowing remote monitoring of the user’s health and environmental status, security and safety. The system will keep track of daily-living behavioral changes and changes in the environment, with practical, comprehensive tools to help improve the user’s quality of life in numerous ways while maintaining independent living. Our current technology serves as the foundation for multiple platforms, which will allow anyone to comprehensively and remotely monitor their loved ones’ (or patients') health status, security/safety situation, and well-being. The caregiver will be able to observe not only daily-living behaviors, but will be empowered to monitor changes to the environment remotely. Eventually every household will benefit from our technology, based on today’s Personal Daily-Living Assistant platform. We will continue to chart new paths with this open platform, providing the broadest, most fully-integrated, self-care-centered portfolio of environmental, healthcare and safety monitoring systems in our industry. Balkowitsch Enterprises Now Offers The Most Advanced Stroller In The World, The Origami By 4Moms! 4Moms Origami Power Folding Mileage Counting Child Baby Stroller. Strollers are all the same and haven't changed for decades. That's why 4moms developed the Origami power-folding stroller. At the touch of a button, it folds itself. It's also a cell phone-charging, mileage-counting, LCD-sporting stroller, with generators in the rear wheels that charge it as you walk. Plus, the Origami has daytime running lights, pathway lights for low-light conditions, and sensors that detect when a child's in the seat (so it'll never fold by accident). From power folding to cell phone charging, the Origami is what strollers should be. If you have any questions please call (800)355-2956. Blue Light Therapy is safe and effective, but it has never been affordable for the average acne sufferer. Trophy Skin was formed by a group of professionals from the medical aesthetics industry. Our founders owned one of the nation’s leading medical spa clinics, and have performed thousands of laser and light based skin rejuvenation treatments. 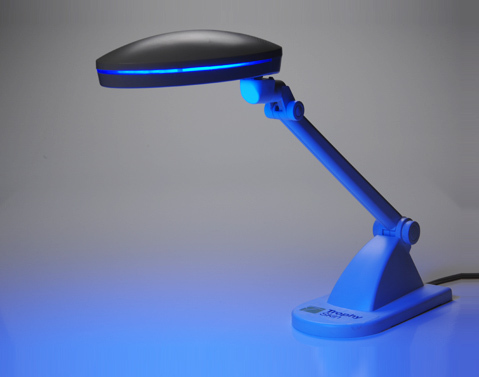 We observed first-hand the power of Blue Light Therapy for acne sufferers, and set out to develop a device that would harness that technology in an effective, affordable home-based device. The BlueMD is the first release in a line of cutting edge new medical aesthetic devices for home use from Trophy Skin. By using our years of knowledge and experience in the use of clinical lasers for acne and skin rejuvenation treatment, we have been able to develop a highly safe, compact, and easy to use device that really works. Trophy Skin is proud of our accomplishment with the BlueMD acne treatment device, and all of the technology and thought that went into this revolutionary product. We stand behind all of our products with a “No Questions Asked” 30 Day Money Back Guarantee. Blue Light Therapy works for about 90% of acne sufferers worldwide, and we fully believe you should only have to pay if you see results. We have received nothing but rave reviews from the customers that have already purchased this quality product.